Personal Journal of Althea Ricardo, B.A. I believe I started blogging when Yahoo! launched Geocities in 1994. I'm probably not among the first bloggers in the Philippines, but I was blogging before "blog" even became a word. 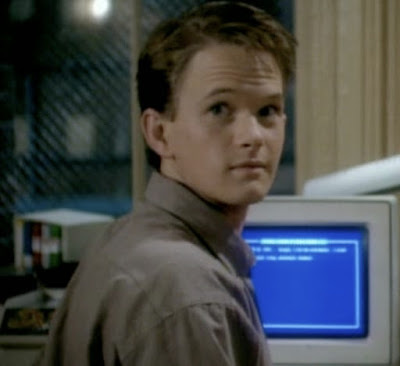 I was one of the multitudes inspired by Doogie Howser, M.D. to maintain a digital journal. I've had many blogs since then. I was on Easyjournal, then Blogdrive, and I spent a few months on Livejournal before I recommitted to Blogdrive, where I already had a handful of blog friends. After a while, I made the move to Blogger (because their templates were so cool, haha), and after trying to transfer to Wordpress and Tumblr and cross-posting on Multiply, I chose to stay with Google. I'm thinking about this now because I found my old blog posts from 2007 onward. I had a blog called "Like Endless Rain into a Paper Cup," but I moved it and made it private. To be honest, I was embarrassed to leave evidence of my emotionally turbulent and unwise 20s online. For most of the 2000s, I was half in love and half brokenhearted. By then, I knew better than to post about heartbreak in detail, but I still wrote some cryptic posts about my life drama. When I eased into my more mature 30s, I wanted everything gone. I restarted my blog, saved the posts I liked, and then ... I just stopped blogging. I tried, but I found that I had nothing to say. My brain was overwhelmed, I think, and there were many days when I just wanted to run away from myself. Blogging is still journaling for me, and I've realized that when I blog, I am forced to look at myself. For too long, I refused to. This time, while checking my old posts, I felt some nostalgia for the person that I was, and I half-wished I had just let my original blogs be. There are days when I wish I could read my life without missing chapters, and today is one of them. I miss the ease with which I would write about my feelings, even the bad ones. I miss when I wasn't so self-conscious about what people could google about me online. I miss my candor and authenticity in writing. But I'm also thankful that I did not grow up in today's environment of oversharing and overexposure for bullies to screencap and share. If I have time, and if I still feel like it, I might try to migrate my old posts to this blog. I think I'm finally done with my seemingly endless, obsessive template tweaking. For now.